Did you Know? 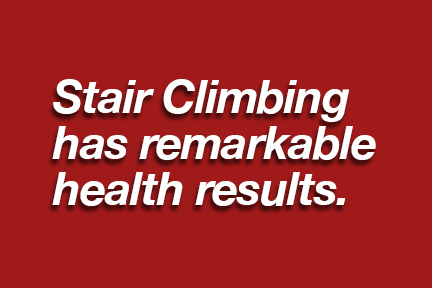 According to the University of California, Berkeley Wellness Letter (October 2018), stair climbing is an aerobic exercise that has many benefits. It can lower blood pressure, reduce arterial stiffness, lower blood sugar in older people with type 2 diabetes, and decrease brain age. While you might not like it, it’s good for you. Try it. You Can Do It!